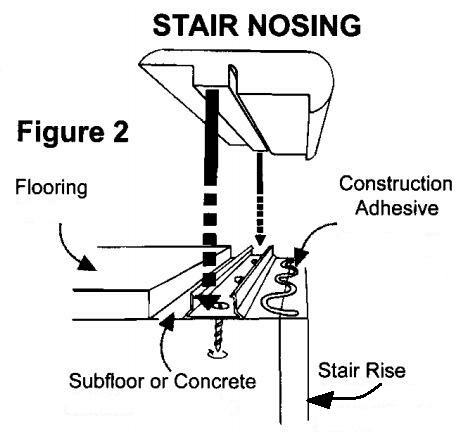 How do you install laminate stair nose? I am installing laminate flooring all over our house including the stairs. I have the matching overlapping stair nose and am curious as to how to piece together and secure the riser, tread, and stair nose. The riser measures 7.5'' high, the tread is 12mm thick. The stair nose does not lay flush to the baseboard because the tread is so thick. 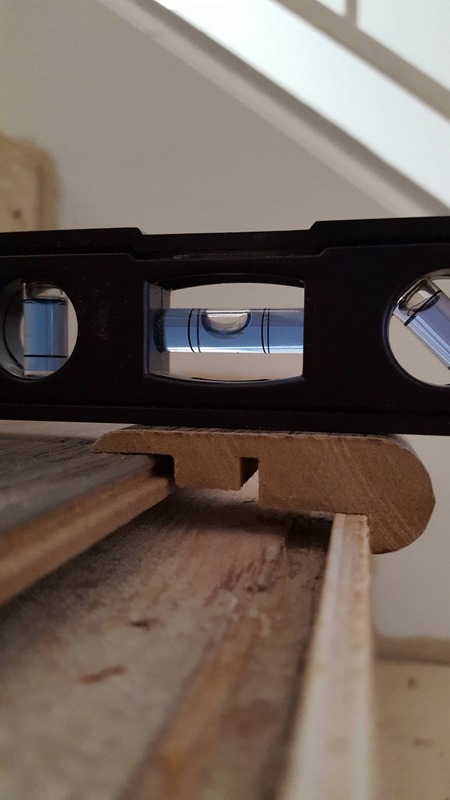 So I cut the riser to 7.75'' and it is level. The back of the stair nose and the front are flush with the tread and riser respectively, but the middle is 4-5 cm away from the baseboard. That seems like a lot of glue. 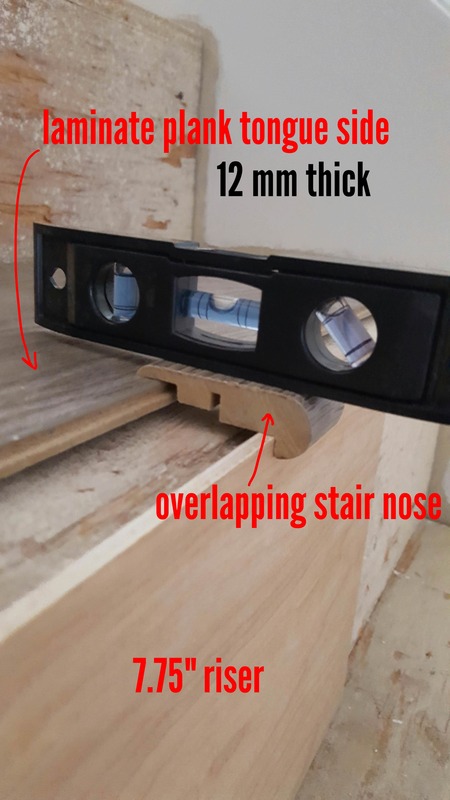 How do I install laminate with an overlapping stair nose on stairs? The riser is thin, .25''. Should I have a thicker riser so the stair nose has more surface area to stick to? 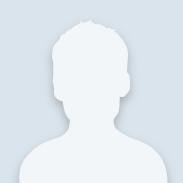 Hello award0727, and welcome to the Community! You don't indicate what flooring product you are using, you should check with store where you made your purchase for the product that matches your floor but looks like the one in the picture. 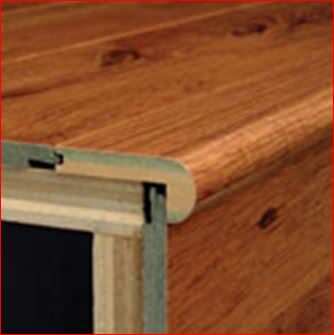 The corner trim should be flush with your existing stair tread, not have a lip. Also, there should be no gap under the stair tread (sub floor), otherwise you will have deflection as you step on the tread-see photos below.